World renowned in two and four wheel motorsport, Öhlins is now being hailed as the ‘must have’ product in a new genre- Mountain biking!.. In an ambitious partnership with MTB legends Specialized, the yellow shocks now adorn the Californian company’s high-end Downhill and Enduro machines after a rigorous testing programme in Europe and the USA. The cutting edge Demo 8 and Enduro Evo models are the first wave of bikes to hit the 2,700 Specialized Centres, a fact that is held very proudly at Öhlins HQ in Sweden. Torkel Sintorn looks after the product development and Racing for the off-road market. He and a team of four engineers headed up the new MTB project. “Specialized is a very different type of company to what we’re used to working with, they’re a great group of guys with an exciting development programme. From the beginning they wanted a true partnership with total exclusivity and invited us as a high performance player in the MX sector. They had their own in-house suspension programme for the cross country and Enduro side but wanted us to come in and shake things up to really move on the Downhill market. They clearly want to be No.1 in everything they do and offer the best performance which is what we’ve supplied them with. The mountain bike market had some good looking ‘trick’ suspension products but what I think we’ve been able to offer is superior ride quality, traction, performance and a fast reacting shock. The biggest difference has been the traction of the rear wheel onto the dirt. You have to remember with Downhill the bike is moving really quickly over rocks, roots etc but also has to absorb bumps, corners, berms and of course big hits (jumps). From the very first test our aim was to vastly improve the rear wheel grip which is what the testers told us we achieved. Previously the rear wheel ‘skipped’ about and moved from side to side, we’ve worked hard to eliminate this movement, now the wheels follow each other inline with smooth consistent traction characteristics. The Enduro Evo model is a different ‘animal’ completely, the shock need to be able to cope with high pedalling efficiency on the uphill sections which characterise this new sector of the sport. There is also a different set-up of the shock with a high speed adjuster to give pedal ‘friendliness’. Our first big test was in Northern Sweden in October 2012. We used a Scandinavian test team and the guys from Specialized came over- maybe the Californians experienced a bit of climate change! We then went to their test facility at Morgan Hill (Specialized HQ) where we used black springs, yellow is a little too obvious and there was a high level of secrecy in the US. It’s fair to say that during the first test there was no real expectation, just good to get some base settings and see that the product worked well. However when we got to the States and their World Cup Downhill racers including Brad Benedict were in action it was clear the pace and the big hits the riders took was far higher than our own testers, but still the shock worked well and we had massive positive feedback. 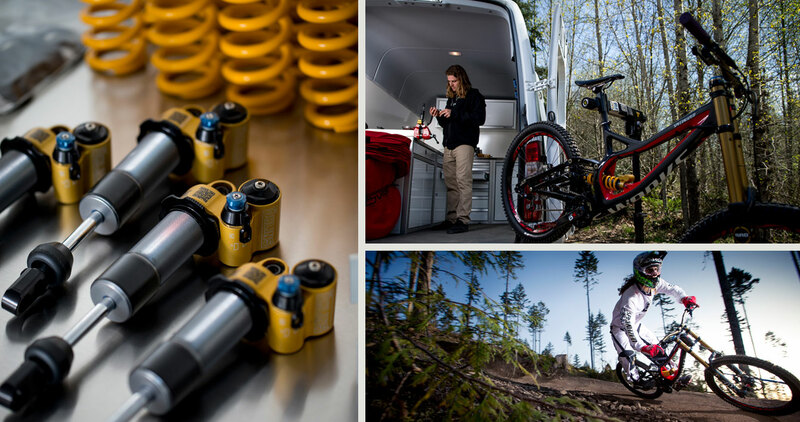 How did you come about creating this relationship with Öhlins? McAndrews, our Director of Suspension Technologies, has been around moto a long time and has always appreciated the precision and performance of Öhlins. We were trying to figure out how to take the next step in mountain biking performance and an obvious way was an even better, closer suspension relationship with a partner that could really focus on what would give the rider the best experience. So Mick got Öhlins on the phone and we went testing shortly after. That went really well with our in-house Suspension Manager and former World Cup racer, Brad Benedict. He was pretty floored by the gains in performance. Presumably you were well aware of the Öhlins name through MX? What was your experience of the Öhlins R&D testing procedures? Super rad! But not that surprising. I didn’t know what the tests were beforehand but I just expected nothing but the best from a company like Öhlins. So even though it was very cool, it just makes sense that product of this quality would go through tests like that… how else would you be able to make suspension this good? The testing near your base was carried out with black painted springs we hear?! Ha! To the trained eye, yeah, little too obvious, the yellow and gold is iconic. But you would be surprised how much prototype stuff goes completely unnoticed and we have to test in real life, so black it is! What was the initial feedback from riders and testers? Pure grins mixed with a little disbelief. Riders would be coming down, just shredding and super fired up, which we like. The disbelief comes from always have ridden some great shocks before and yet being able to feel a noticeable difference. How important is the Downhill market and where are the main regions? 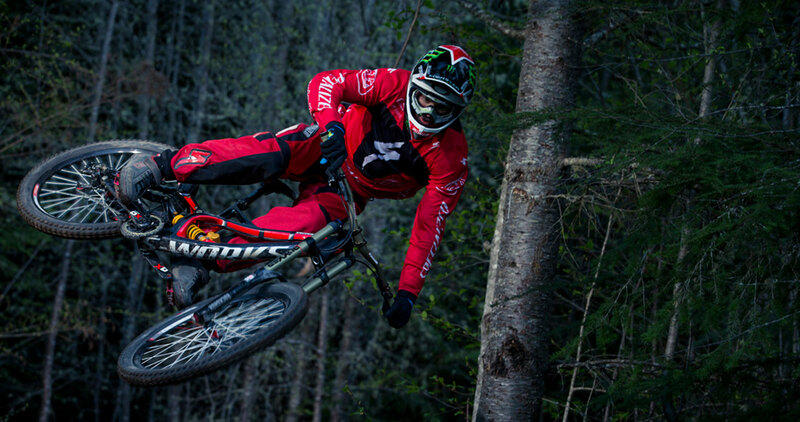 Downhill is the pinnacle of speed, performance, precision, and white knuckle-speed. We love it! The riders push so hard, ride so fast, and are willing to try out new things just to gain a few tenths of a second. And that’s what it takes to make great riding bikes, for any type or riding. We learn so much from DH, it’s massively important. The bigger markets are USA, Germany, France, and the UK but there are a lot of DHers in Australia, New Zealand, South Africa, Columbia, Canada… it’s everywhere now. And obviously creating suspension for DH and Enduro machines very different, what are the main factors? The biggest change is that a DH racer is never going to have to pedal up the hill; Enduro riders need fantastic descending performance but also have to get back to the top under their own power. Pedalling is a bigger part of the thought process. Any future plans with Öhlins? It all comes down to making the ride the best. I believe working with Öhlins has taken our bikes up a couple of notches and would be super excited to see more bikes with Öhlins on there. Our relationship is one of mutual respect for riding and performance so it works really well and I expect it to get even stronger in the future. 03 – Snow race champions! The FIM Snowcross World Championship held its inaugural competition back in 2004 and has since been held annually, with this year’s event being held near Skellefteå in Northern Sweden. Continuing to grow year on year, the 2014 competition not only saw over seventy of the world’s best Snowcross riders come head to head to compete for the title, but also the first ever FIM Women’s Snowcross World Cup Final. It was a very special event for Öhlins, not only was it held in their native country but they secured all three podium spots in both the men’s and women’s categories! What is a Snowcross machine though? Well, put simply it’s a standard snowmobile that anyone can purchase and while these machines have been in existence since the 1960’s, it was only in the last two decades that they’ve enjoyed a significant boost in both performance and design. 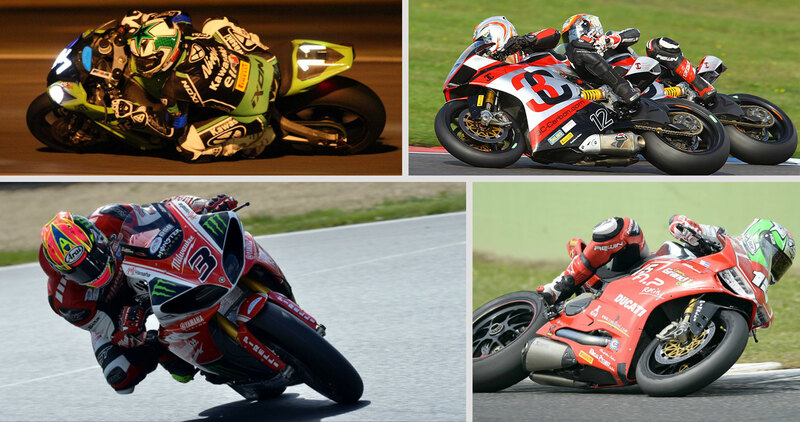 Nowadays, the ‘sleds’ as they’re known among fans vary between 2 and 4 stroke engines of 500-1200cc in size but the most common sleds are 4 stroke machines between 600-800cc producing in the region of 120bhp. The stresses put upon the skis on a Snowcross machine is unique as there is quite a heavy weight going through these super manoeuvrable blades. Specialised snowmobile performance centres fit four Öhlins S46PR1C2 dampers, two in the ‘buggy’ and one on each ski up front. For many people snowmobiles are a practical way of getting around during the winter months and there is an estimated 1.5 million registered ‘sleds’ in the world with 144,601 sold in 2013. However for the elite Snowcross riders, things are a little different as they tune their machines to reach an incredible 170bhp (with a 209kg weight!). 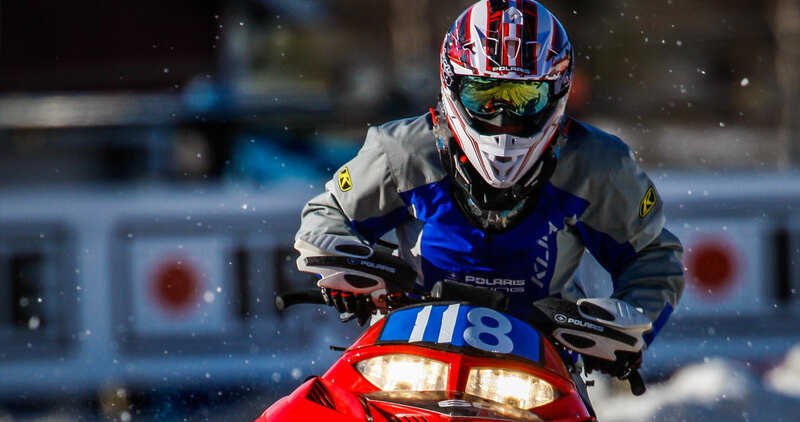 There are many different versions of competitive snowmobiles, from the enduro and freestyle machines to drag racing monsters which can reach speeds of over 200mph! 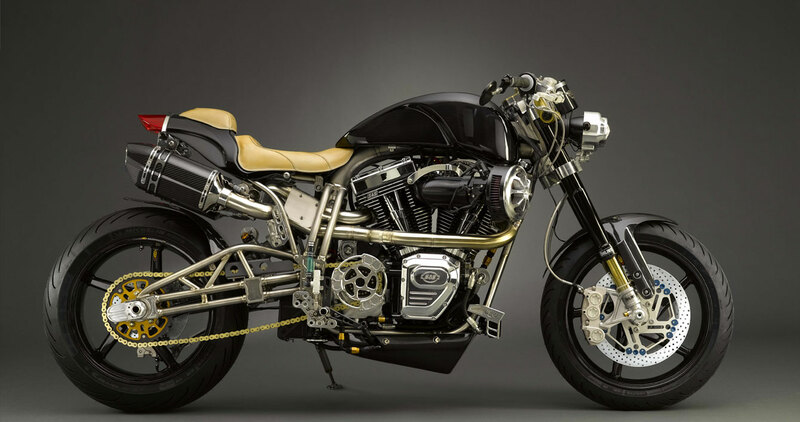 Based in Denver, Colorado, Ecosse Moto is the brainchild of mechanical engineer and lifelong motorcycle enthusiast Donald Atchison. During the mid-1990’s, Donald held the role of head of Business Development for a local manufacturing firm – a job which saw him spend long periods of time overseas where he would while away the hours of tedious long flights, by sketching images of his ideal street bike. The company’s tagline was one of the first things to be put in place, ‘Exquisitely engineered for a fortunate few’, a motto that sums up Ecosse Moto Works perfectly. Following countless hours of computer-aided and real-world testing, Donald was ready to unveil his first distinctive model, The Heretic. 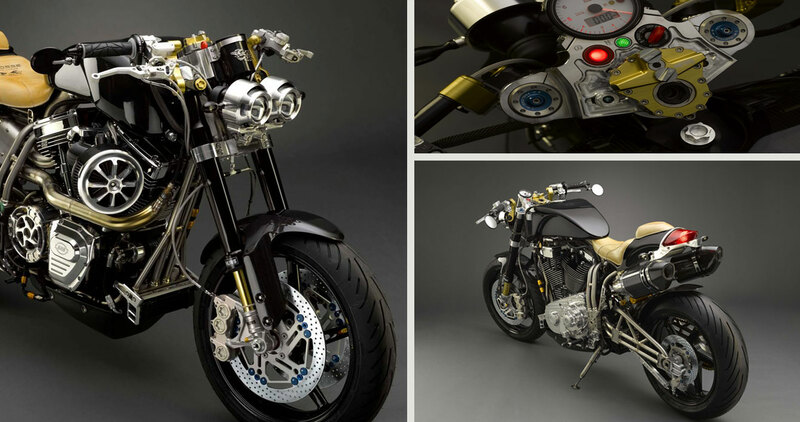 Undergoing three complete prototype iterations before it was launched, The Heretic took in elements from all of Donald’s favourite types of bike and the unique piece of kit has helped Ecosse grow to become a globally recognised brand of premier luxury motorcycles. The saying ‘good things come to those who wait’ is something that is particularly true for these meticulously built machines. They are designed and built from the ground up and because of this, each machine goes through a lengthy build process. While they have created different limited-edition series of Chrome-moly and Titanium models, the total number of machines built a year remains very low due to it taking upwards of ten months to create! The name Ecosse is the French naming of Scotland and the inspiration behind the bike brand is derived from the infamous Scottish racing team, Ecurie Ecosse, who back in the 1950’s were denied a spot in the legendary Le Mans 24 Hours. After some much desperate pleading, the organisers finally relented and awarded them a spot in 1956. With the world writing them off before they had even started, the team pulled off one of the biggest shocks in motorsport going on to beat the established factory Ferrari and Maserati teams and secure victory. In fact, back in 2010 the country became the largest producer of automobiles in the world – a title they haven’t relinquished since as they continue to expand year on year, producing some twenty million cars in 2013 alone. It is not just Chinese brands that are being produced either. Volkswagen may have been the first globally recognized brand to establish a factory in the country in the late 1970’s, but thanks to cheaper running costs, an increasing number of brands are joining them and creating their own large-scale factories. One such company is Ford who in 2012, with four factories in the country already, selected China as the location for its biggest expansion program in over fifty years, creating a brand new $760 million production line in the Hangzhou region and a $600 million expansion at its Chongquing plant. As China’s economy continues to grow and people discover previously unseen wealth, the image of small cheap cars is also being shed with the newly established ‘middle-class’ choosing vehicles for looks and performance rather than convenience. This is one of the reasons why the Ford Focus was the fastest selling model in 2013, closely followed by the Volkswagen Golf. However, despite producing more cars than any other country in the world, China imposes the most stringent restrictions on the purchasing and use of cars in its major cities. For example, in Beijing you can only purchase a car if you are a national of the city and even then you will need proof of a parking space before you are allowed to buy a car. Once you’ve passed those criteria, you will still only be able to use the car on dates that the last digit of your registration plate is allowed to go out! These might seem like some particularly unfair rules, but with a population of over 21 million and 6.5 million cars already on the road these rules help to prevent further congestion and, more importantly, reduce the dangerously high levels of pollution that plague the city and make it the most polluted city in the world. 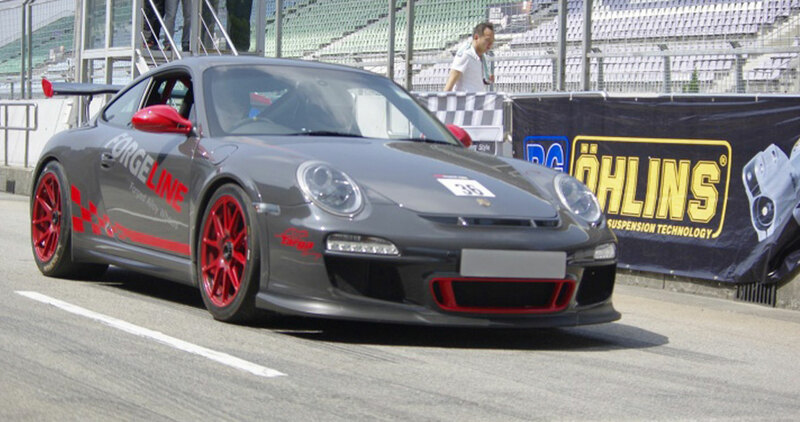 Now where there is a growing automobile industry, it is only natural that there is a burgeoning motorsport scene too. So in 1997, China began a comprehensive motorsport program which saw them open their first international circuit, Zhuhai International. Since then, five further tracks have been opened, Guangdong, Shanghai F1, Shanghai Tianma, Beijing and Chengdu which has seen the motorsport industry flourish and the likes of Formula 1 and MotoGP pay visits. However, prior to 1997 the country had very little involvement in the motorsport world which has meant it has been playing catch-up with the more established Western countries. Things are definitely changing though, an ever increasing number of fans are being attracted to the various motorsport events now being hosted and it is the off-road world that is proving by far to be the most popular. The biggest of these events has been the Taklimakan Rally, which will enter its ninth year in 2014. With twelve days of intense racing through the vast North Western province of Xinjiang, the rally features over 60 motorcycles and 130 cars competing in the grueling race. Eager to build on this growing support for off-road sport, China’s Motorsport Federation introduced another long distance Off Road event in 2013, mimicking the famous Dakar Rally. The China Grand Rally was held over sixteen days and raced across four of the country’s largest Northern provinces. Öhlins has played a big part in these off-road events through BG-Performance, who is the supplier of the ORQ off-road Damper products. The product has been so successful that it is now estimated that over 70% of all professional off-road racing cars in China use Öhlins! The BG-Performance team also provide full on-site support at the various meetings such as the Taklimakan Rally, being on hand for fifteen days and servicing over thirty cars. 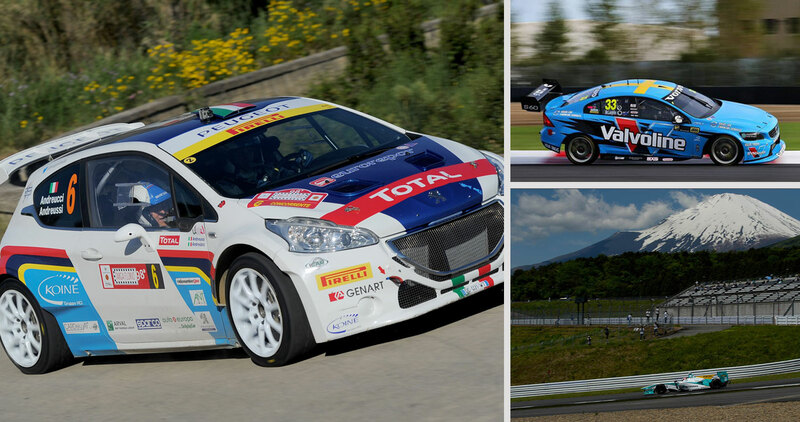 It is not just the off-road scene that is experiencing a period of rapid growth, the China Touring Car Championship (CTCC) is also undergoing expansion, coupled with a surge in global popularity. The CTCC is split into two different classes, the 2,000cc – which in recent years has been dominated by the factory supported Ford Focus team and the 1,600cc class which is perhaps surprisingly the feature race. Consisting of the best drivers in China, the 1,600cc category is a battle between the Volkswagen Golf and Nissan Tiiada. Öhlins will be expanding further into the CTCC over the coming season using their vast Touring Car experience. On the two-wheel front, BG-Performance, also being the Öhlins Motorcycle Distributor in China has done a tremendous job in promoting bike sport in the country. BG is the Organiser and Promoter of many of China’s regional SBK Championships in Beijing, Chengdu, Guangzhou and Shanghai covering close to 90% of the territory, Hong Kong and Macau. Öhlins reflects its status on the world stage by dominating Greater China’s 2 wheel Racing with approximately covering 95% of all aftermarket suspension. From 2014 to 2015, China will open another five new Motorsport circuits with two being International Grade “A” with Multiple purposes facilities and three International “B” circuits giving China a total of 11 International level circuits. With new races, tracks and Championships forming each year, and an increasing number of lower level races for amateur and clubman entries, the motorsport industry in China is growing at an incredible rate and Öhlins is at the very heart of it, offering its expertise and products. However it is as the centre of World Motorsport engineering with the vast majority of Formula One teams and their associated suppliers based there that Britain has really carved a name for itself. The annual Autosport event showcases this thriving industry and gives fans a unique opportunity to get up close to both the machines and their drivers. At a race, teams and drivers are under immense pressure while the various tiers of VIP passes create a barrier to reach them but at the Show the opposite is true, with vehicles and pilots within touching distance, all conducted in a far more relaxed state. It is to this arena that Öhlins are drawn every year as the team from Sweden make the trip to the Birmingham NEC each January, ably supported by British dealers with their vast experience of the local scene. Renowned for a clean, visually impressive stand and interesting exhibits such as the powerful Volvo Polestar and Prodrive Mini, the Swedes take great pride in their presence at the Show. 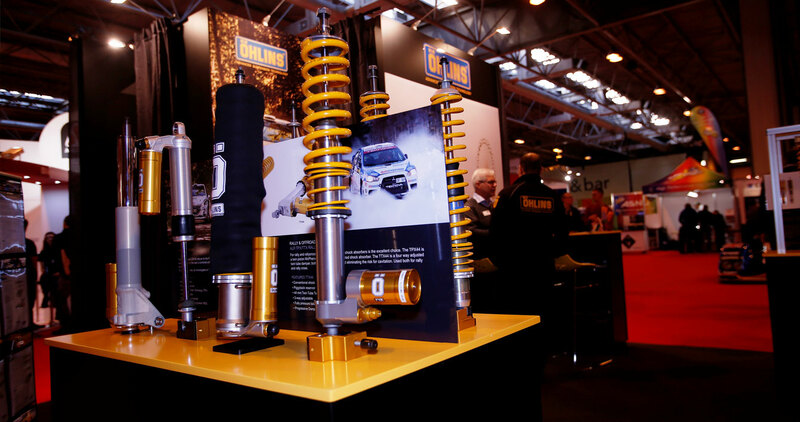 This year Öhlins were awarded the award for Best Overseas stand with Show Director Ian France commenting “As a manufacturer of dampers and suspension, Öhlins have showcased their products at the show over many years. We were pleased to award them the prestigious Best Overseas stand for their products across both two and four wheeled motorsport, where they have supplied and worked with many of the leading factory based and privateer teams”. 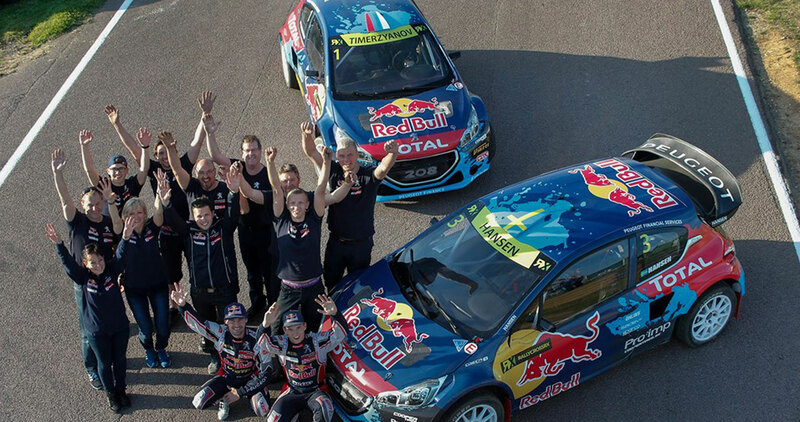 The Motorsport Industry is indeed a serious and crucially important business to the UK’s economy, boasting an annual turnover of ₤6 billion – of which £3.6 billion is exported (7.2/ 4.3 billion euros). Nearly 5,000 companies are involved in the business and it supports 38,500 full and part-time jobs, of which 25,000 are qualified engineers. Big numbers indeed. 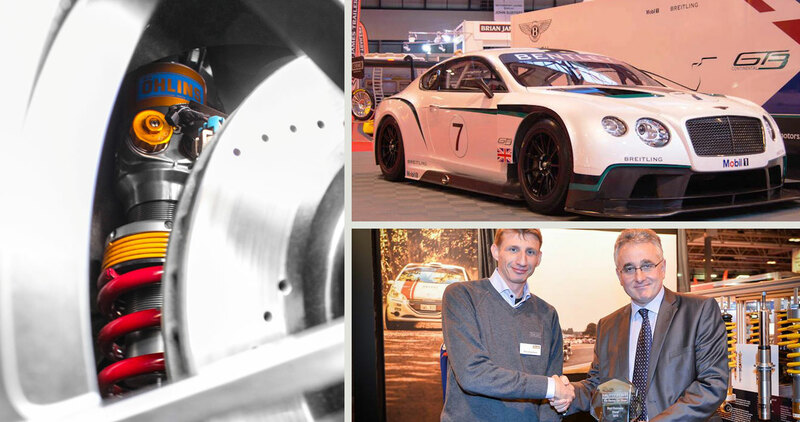 Companies from other industry sectors – such as Defence, Marine and Aerospace – have also learned to turn to the motorsport industry when looking to accelerate the solution of their engineering problems and look for a competitive advantage over their competitors. Although F1 is the obvious pinnacle of the motorsport pyramid, there is such a vast grass roots level of participation, with 34,000 licence holders driving at over 5,000 events each year, that the aftermarket sector is kept incredibly busy making everything from wheels to gearboxes, engine internals to data loggers. The Show itself houses over 600 exhibitors for the four day show which is split between two trade only and two public days in the vast NEC Arena, with over a million square feet of show space (93,000m²) Highlights for visitors include being able to walk round the grid of latest F1 cars, listen to on stage interviews and gain autographs with the stars of the International and British racing scene whilst being the first to see the latest race car launches, new livery and driver line-ups. The Live Action Arena seats 5,000 fans and features daily stunt displays from Terry Grant and Freestyle MX jumping, combined with interviews and actual racing from the world of drifting, hot rods and Autograss. The more adventurous visitors can try race Karts and even Caterhams for size. Uniquely the Show offers a whole section on ‘Careers in Motorsport’ with top universities offering courses and internships with companies such as Red Bull F1! Marketing Manager for Öhlins, Ola Lennström is a big fan of the Show, saying, “You know the year has started with a bang when the doors open at Autosport for the first time in January! 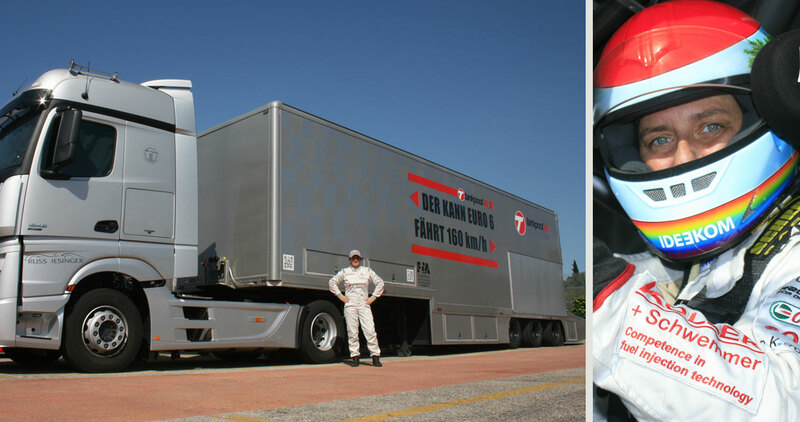 Now while the sight of the iconic gold and yellow suspension units of Öhlins on a motorcycle or exotic car is commonplace throughout racing paddocks and showrooms around the globe, what might not be so well known is the Swedish suspension manufacturer’s involvement and success in truck racing, namely the European Truck Racing Championship (ETRC). Her return to these 18 ton monsters once again came with Mercedes, however their presence had declined, meaning 2012 saw her as one of the few drivers on the grid to actually race with the German brand. 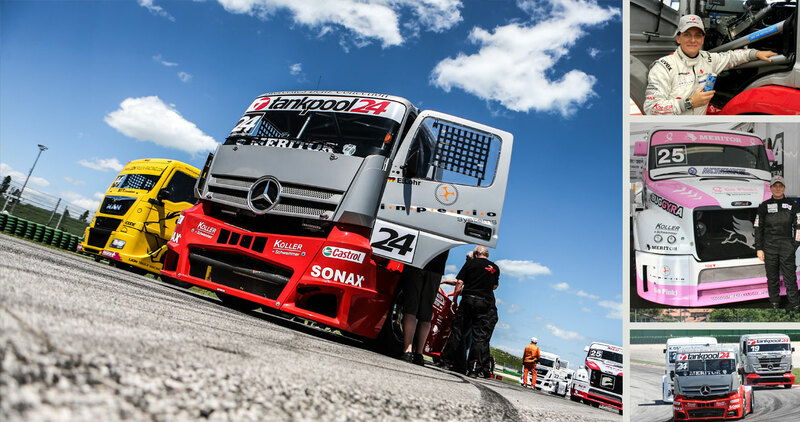 Unfortunately for Ellen, the company’s interest in the sport had also waned and the truck that she would be racing was a 2006 model, with just the shell coming from the New Mercedes Actros. This meant that throughout the season she would suffer from an incurable and often severe lack of horsepower when compared to her rivals, making her unable to match or truly compete with the lap times of the leaders, who were all using the latest equipment. 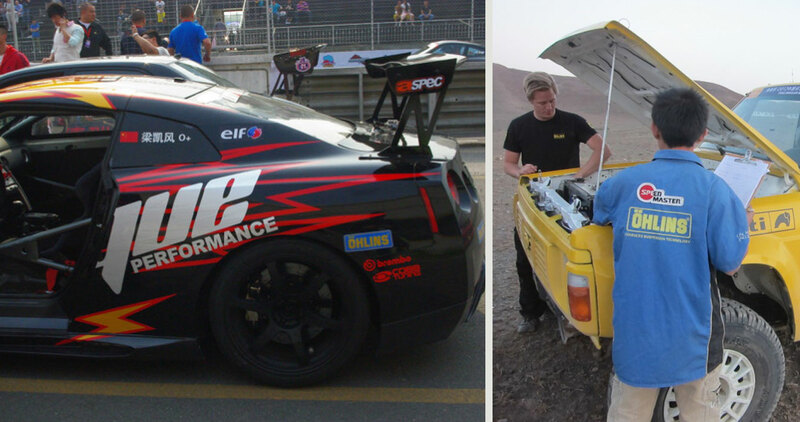 One of the most recognisable names to emanate from Time Attack is world-famous Subaru tuning house, and official Öhlins Centre, Roger Clark Motorsport. Founded in 1991 by the late Roger Clark, himself a highly established rally driver, the company’s first Time Attack vehicle was a highly tuned GC8 Impreza nicknamed ‘Gobstopper’ with which the team secured the 2008 and 2009 titles (along with a whole host of silverware) and made headlines around the world, winning the hearts of fans in the process. “Gobstopper 2 has been some three years in the making and we’ve gone all out to make sure it lives up to its predecessor. That first car has given us so much over the years that we wanted to make sure the next one we rolled out would cause just as much of a stir.Although we’ve started from scratch, the car is more evolution than revolution when compared to the first one. It’s clear from talking to the guys at RCM the passion they have for their vehicles and what sets them apart is their pure openness. There is no hiding away their tricks of the trade, if you need advice they are more than willing to share it and almost every part in the car is available to buy from the team. 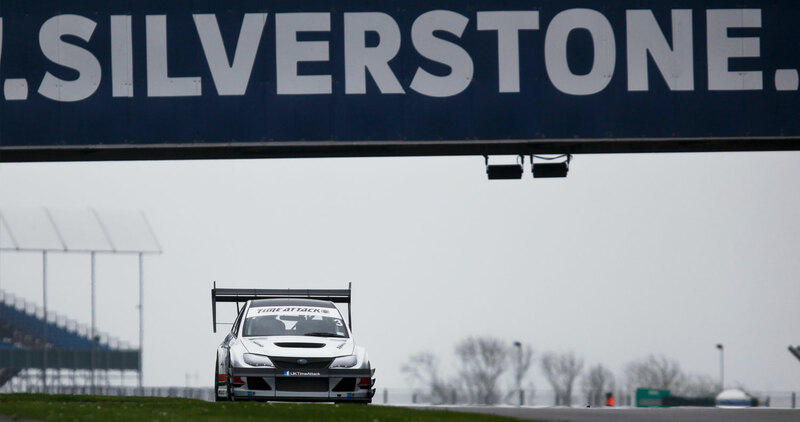 The 2014 Time Attack Championship kicked off at April 6th at Silverstone. The Roger Clark Motorsport Team posted an incredible sub one minute lap round the National circuit topping the times with a 58.488 second lap. 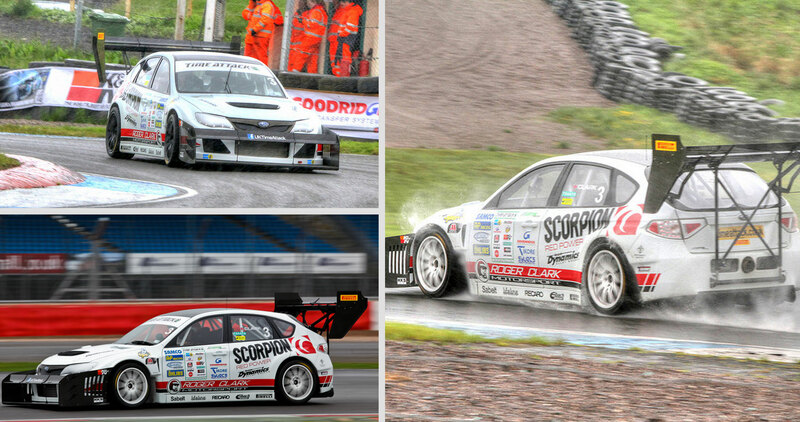 At the next round in Knockhill, Scotland the team posted the fastest time in each of the four sessions, despite some ‘dodgy’ weather throughout, to take overall victory. 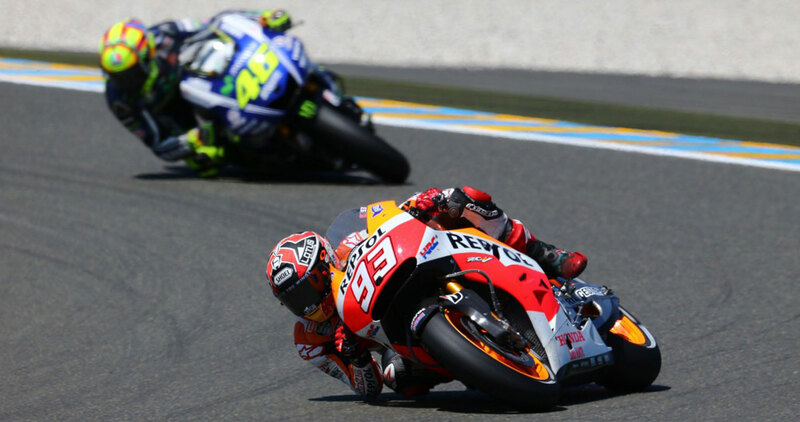 In the new ‘Open’ class, CRT champion Aleix Espargaro and the Forward Racing Yamaha have impressed the entire paddock with some breathtaking performances that have seen the young Spaniard take the fight to the Factory machines. 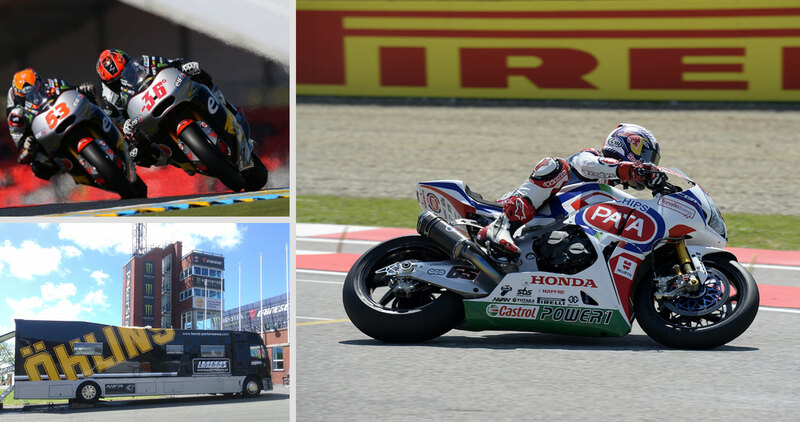 Once again, Öhlins have enjoyed a successful start to the racing season across the world’s leading domestic two wheel championships. In the French SBK series, Kawasaki SRC Rider Gregory Leblanc has taken three out of four race wins so far at Le Mans and Nogaro. For a nation passionate about ‘Endurance’ maybe an even more important achievement is the team’s third consecutive Bol d’Or victory with the 24-Hour race being won by Leblanc, Matthieu Lagrive and Nicolas Salchaud. 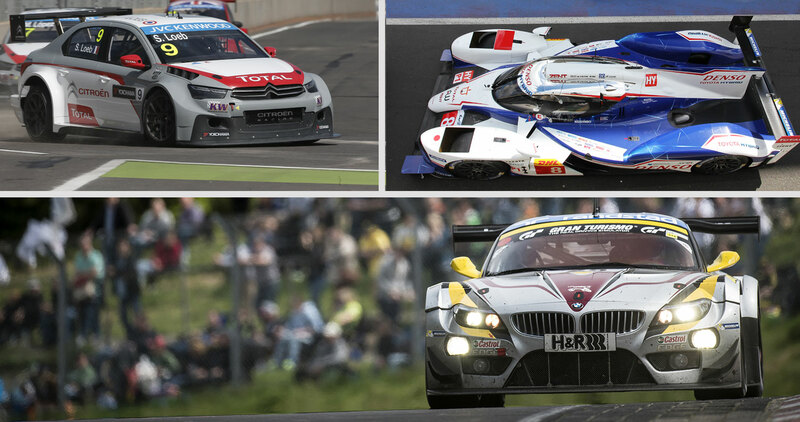 The weekend of June 20-22 is all about speed at Nürburgring. That is when the classic Nürburgring 24 hours is held this year and the BMW Z4 GT3 of Marc VDS, last year’s runner up, has shown top form. With a win in the third VLN-race at Nürburgring and a second place in the fourth VLN-race they have established themselves as a pre-race favourite for the 24-hour race coming up next at the track.